My friend Elaine was raving about the sweets she had from Tasterie Truck. 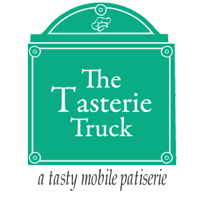 The food part of my brain (it takes up a large portion) started on an Internet hunt to find this elusive Tasterie Truck and how I could try some of their sweet morsels. 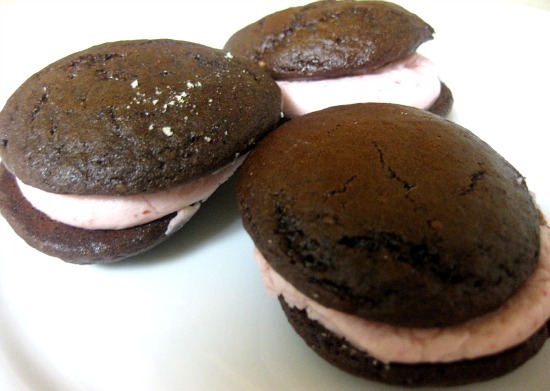 I found Tasterie Truck on Twitter: Boulder’s first mobile dessert truck serving everything from whoopie pies, stickyboxes, cupcakes, and more! I was delighted because Boulder doesn’t have a dessert truck and I love when a new foodie venture pops up here. Food on wheels is so fun too! 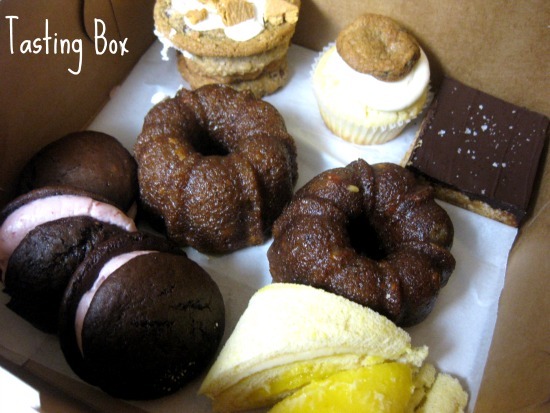 After I shared with my co-workers and took one of the boxes for myself (hey, you would too) I spoke with Shannon to learn more about this wonderful idea and this patisserie on wheels in Boulder. Shannon describes the idea of Tasterie Truck coming to her in a dream while she was working in finance in New York and was looking for a career change. Talk about symbolic. When she woke up with the cupcake truck idea the brainstorming and research began. The turning point was when she met her chef, Nathan Miller, the former pastry chef at The Kitchen on Pearl Street. Once he agreed to work with her, she knew they had something good. Obviously, I had to ask where I could repeatedly get these high-end, delicious desserts. The website: http://www.thetasterietruck.com/ will post a weekly schedule of where they plan to be when, so that everyone can see ahead of time. In case plans change, they will be posting their locations on their Facebook wall and on Twitter. Most of their stops will be in the business parks around Boulder, but Shannon hopes to park on the CU campus eventually and downtown Boulder as well. Unfortunately, the city of Boulder has strict rules that food trucks cannot park downtown. Boo, I say! Who Is Behind This Sweet Goodness? Right now, it’s just Shannon and Nathan. Shannon’s dream is to get so busy that she hires another chef and others to help her in the truck. They’re keeping things simple for now, to keep their prices down and stay efficient. When Will the Hot Wheels Be Up and Running? Shannon affectionately calls their truck, Madeline and currently, Madeline isn’t up and running (yet). Shannon says it’s dependent on when the truck will be out of the shop (promised date is April 4th) and once the truck is back, finalizing their health department approval (April 13th). Mid-April is looking good for the streets of Boulder. Right now, Shannon is building their online presence and fan base by bringing sample tasting boxes to lucky recipients, like myself. So spread the word and holler at them. They would love to hear from you! YUM! That looks amazing! Portland’s got a bazillion food carts/street food but I can’t name a single dessert truck! Well, there are crepes, but… I want this! But desserts? Yes, a great idea! Haha, I know how you feel. It’s dangerous, but oh so good!